Acorns turn into oak trees. Embryos become President. Love starts with hello. Life starts with a breath. All small, like Bethlehem. A small edict - a census form - required Mary and Joseph to travel to Bethlehem. Bethlehem...the least and easily overlooked of all the clans of Judah, the humble birthplace for Messiah. A feeding trough in a stable - an uncomely home for a newborn King. A poor carpenter from Nazareth, an unlikely daddy to raise the Son of God. An unwed mother - a scandalous choice to bear the Savior of the world. 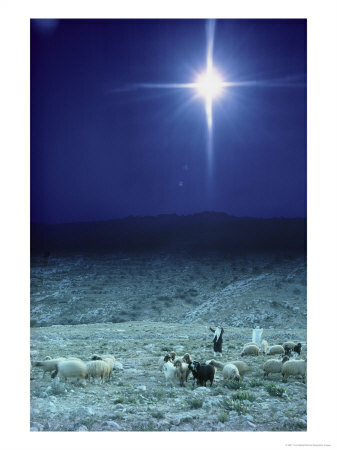 Disreputable Shepherds - unlikely first witnesses to God incarnating into the world. Sit with the Lord today and ask Him, "What are the small things - the overlooked things - that you'd like me to pay attention to?" How might you celebrate the "small" things of your day today - (saying "no" to that 2nd helping, saying "yes" to extended time with your child even when the laundry didn't get finished, taking 10 minutes at lunch to walk around the block and breathe in fresh air)?